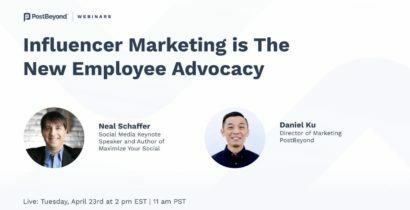 Marketing teams have been implementing social media strategies for several years, but in 2018 employee advocacy will become a priority for most marketing teams. Employee advocacy helps companies amplify reach by promoting their branded content through their employees’ social channels. Leading teams who’ve embraced this technology are discovering the benefits of enabling social participation in the company mission. 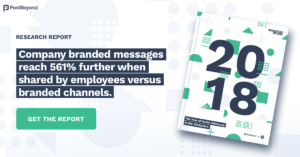 To understand why, and to uncover best practices, PostBeyond and Golfdale Consulting conducted a survey of over 2,500 employees and 400 leaders and compiled the results into a comprehensive report: 2018: The Year of Social Advocacy In The Workplace. 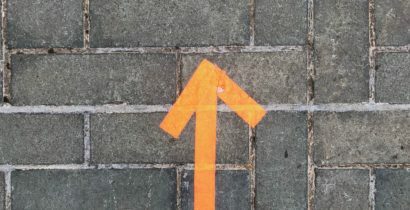 This research report was designed to explore the trends affecting adoption, perceptions and policies regarding social and mobile technologies in the workplace. Company branded messages reach 561% further when shared by employees versus branded channels. Despite this significant uplift, only half of large companies have a centralized department that sets rules and manages external communications through social media. Fifty-five percent of leaders cited increased visibility as the top company benefit from social media. 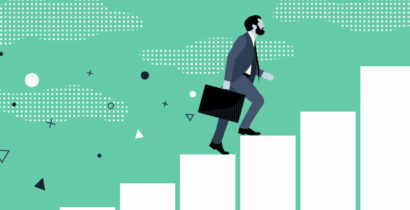 Companies recognize the power of social media for the brand as a whole, with leadership citing increased visibility, increased brand recognition, and improved customer service as leading benefits. Thirty-one percent of employees prefer to share company achievements on social. Irrespective of what social media platform an employee uses, for employees: “It’s not about me as an individual – it’s about the mission I’m on with others that matters.” This can be seen in the types on content (company achievements and updates) they prefer to share. Organizations have slowly started to harness the communicative and engaging power of social media through their employees. However, creating the right organizational context for effective employee advocacy is critical. To learn more, you can access the full report here.